Where Have I Been….Where Am I Going? To questions under the stars? These past two months of running (and not blogging) have brought incredible change and incredible joy. Loving not blogging? No. I wish I would have written more. But, much like a slowly growing snow ball, the longer I avoided writing, the harder the idea of writing became. Until I was convinced that I just shouldn’t do this anymore. Did I really have anything valuable to say? Is the fact that I’m asking that question mean the answer is automatically “no?” I’m still not sure, but I’m here, and I’m going to start writing again. Talking about running, training, balancing family life with work and marathons. And about the joy that running will give back. As July turned in to August this summer, I was staring down what would likely be one of the most stressful months of the year. As a teacher, August brings with it stress and sleepless nights as I ready myself for my new students and the demands that go along with setting up a classroom. Add in new leadership responsibilities and I started to worry that my running and my marathon training would have to take the back seat to my new role. But it didn’t. I decided that I would not sacrifice my training, or my health, for the sake of anything else in my life. Don’t get me wrong, August (and September) for that matter, brought challenges that I couldn’t have foreseen, even with a crystal ball (family mini-van getting stolen-nope, never saw that one coming!). But those months also brought me great joy, laughter and peace. So, where have I been? I’ve been completing my final weeks of training for the Marine Corps Marathon on October 27th. 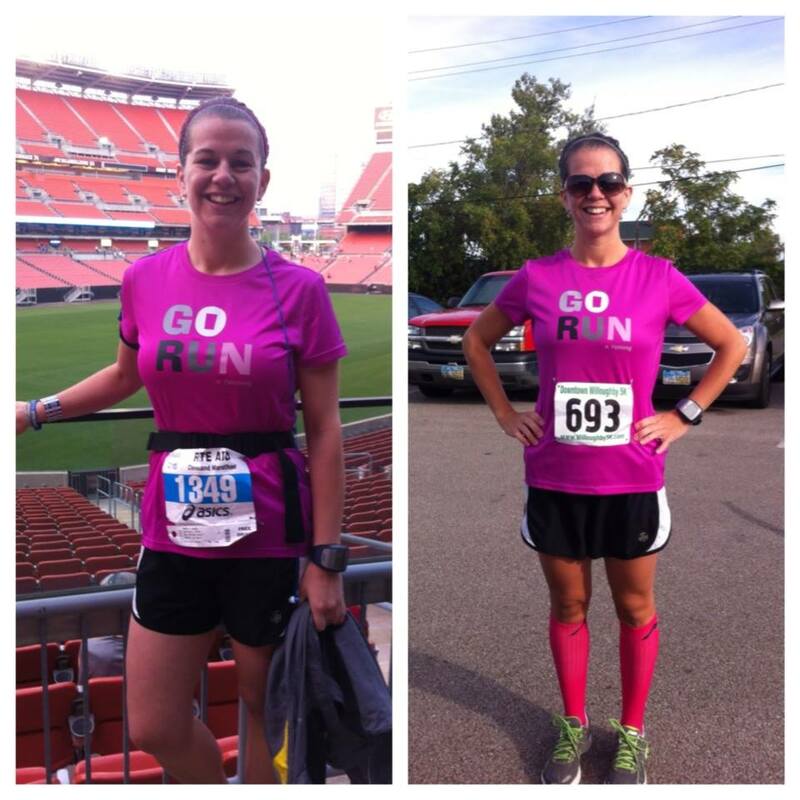 I’ve PR’d in both a 5K (Downtown Willoughby 5K on 9/15) and a half marathon (Rock’n’Roll Half Marathon Cleveland on 10/6). I’ve run with my husband, Phil, throughout his first half marathon training cycle. I’ve run alone and with my brother-in-law/training partner. I’ve run on vacation, in 95 degree heat and in a surprise thunderstorm. I’ve had, hands down, the best running summer of my life. I’ve also been happier and healthier than I have been in a long, long time. And, where am I going? I don’t know the answer to that yet. I have 20 ideas of what I want to do once I’m done with the Marine Corps marathon. Improve my 5K time? Streak again? Try to train for a sub 2 half? I don’t know. But I’ll be running and writing along the way.